Hi!! Hope your 2018 has started off on the right foot! Or left, whichever is your go-to. It was Christmas and I just spent it with my family. No running, just eating. It was a mini-tempo run so a simple mile WU–9:13, then 7:42, 7:34, 7:45, mile CD 8:58. Hopped on the treadmill to make sure the thing still worked. We bought last year for Christmas and while it’s nice knowing it’s available, we rarely use it. 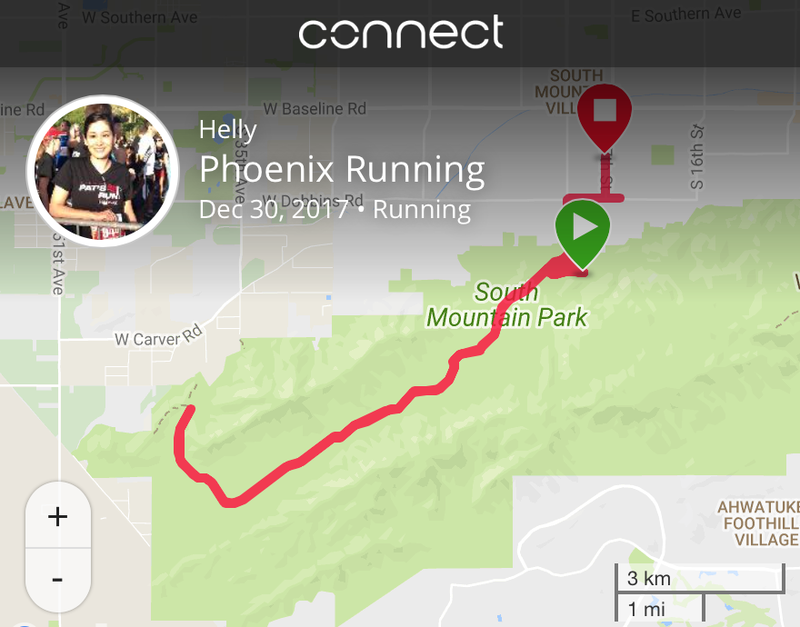 Met up with a friend for what was supposed to be “easy” miles (she was pushing her 4 year-old in the stroller) but we found ourselves going at a pretty nice clip at an 8:39 average pace. I need to slow the easy runs down. Took this run to the hills and slowed things down, 9:18 avg. Took this run to the hills again and met up with my coach and some of her athletes. This stretch of road is up and down and up and down and probably not the most ideal route for a long run. But I need the hill work (for the lone hill in Phoenix Marathon, lol). I stayed slow and steady knowing there were hills spread throughout. I even had a 9:55 mile in there somewhere. 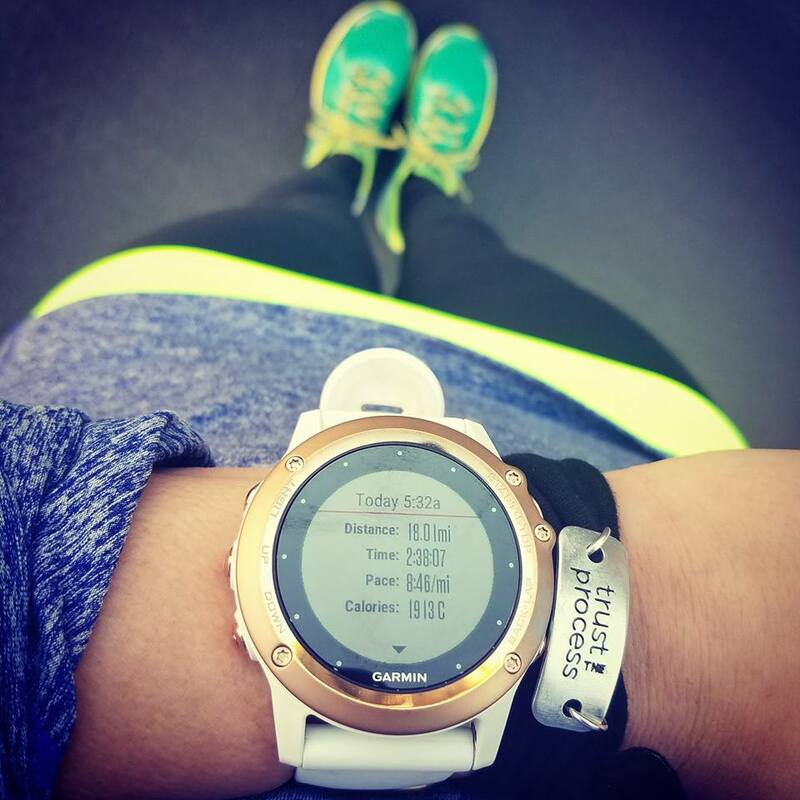 I also knew that the last three miles were to be at half marathon pace (7:40) and I had no idea if I would be able to do it. Luckily, there was a nice gentle decline at the end and I was able to nail it at 7:38, 7:18, 7:12. Nada. My husband and I vegged binged on pizza and wings on the couch and watched movies all day. Okay, I did a little rolling and stretching before bed, so there’s that. It was a good week and the 18 miler while hard with the hills, was a confidence booster as I’ve always been intimidated by the longer distance and honestly, I’m not so much any more. So crazy to think that!! –Do you long runs scare you? –How did you spend your New Year’s? 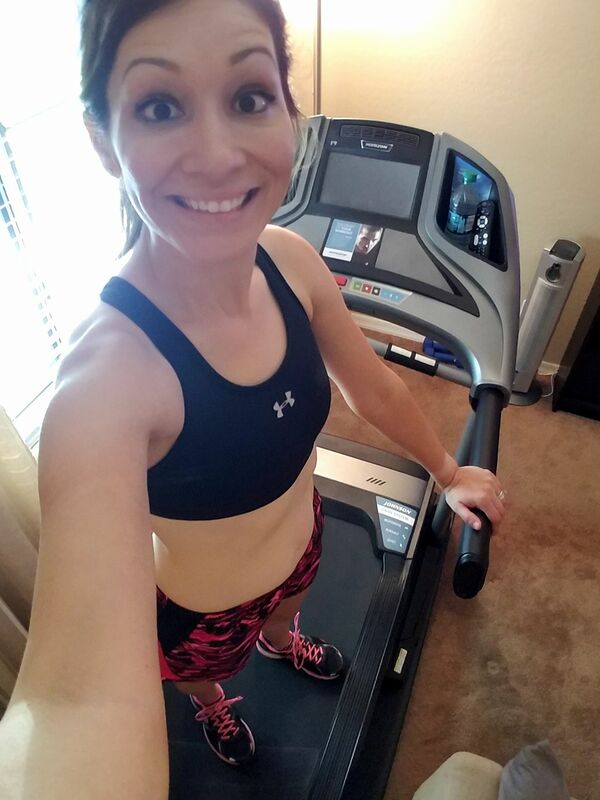 –Do you have a treadmill in your house you rarely use? I want to know what the exciting news is! Ben was sick, so we stayed home instead of going out with our friends in Philly. We’re going to go out with them sometime later this year. Long runs don’t scare me; I just think they’re boring, so I try to find races to use as long runs. Love my treadmill. Been using it a lot thanks to the Bomb Cyclone we had here. Today is a rest day, but I spent 45 mins shoveling snow. Ben would do it, but he’s too sick. He’s on the mend, thank goodness. Ah, I get it now. Didn’t connect the dots. I had to google the reference. I hadn’t seen that movie since it first came out. I’m a sucker for cheesy rom coms, lol! Congrats on that long run!! I’ve done half marathons, but since my accident the long distance scares me as I don’t know if my knees will take it and I’m a little worried about trying and hurting myself so I can’t run at all😫 I guess I’ll have to take the plunge at some point! Nice week! We have a treadmill and I haven’t been using it much. I’ve been loving my snowy trail runs later but sure am thankful to have a treadmill! A part of me is curious to run in the snow, and a big part of me is okay with never experiencing it, lol!! Nice week. I’ve been only running on the treadmill lately. It is so miserably cold out right now. The treadmill and Netflix have been so wonderful to have at the moment. We feasted for NYE around here. I made Chinese food and tons of apps. And there was a lot of wine too! I would love to have tasted your apps!! Happy New Year! Come visit, anytime! We love our food. Haha.